NHRA just ended a Force-full 24-race Mello Yello Drag Racing Series season with two Force family members earning Top Fuel and Funny Car honors. And they achieved this feat in textbook fashion, Brittany Force’s and Robert Hight’s teams overcoming deficiencies during the regular season to gain momentum in NHRA’s six-race Countdown to the Championship. 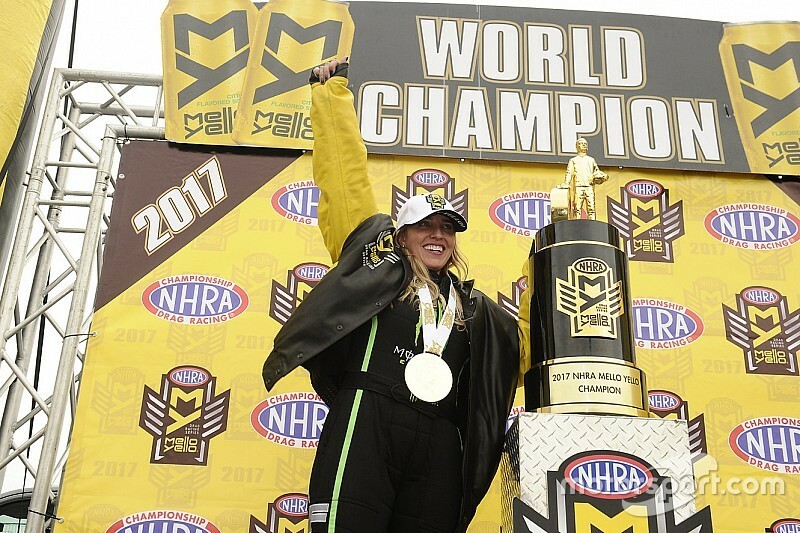 Brittany Force, driver of the Monster Energy Top Fuel dragster fielded by John Force Racing scored a single victory, at Epping, NH, during the 18-race regular season. 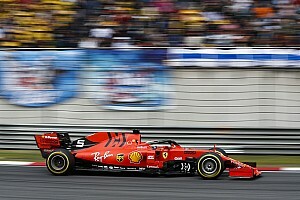 But her team, led by uber-consultant Alan Johnson and his hand-picked crew chief Brian Husen (who had worked with Johnson when he ran Al-Anabi Racing), had Force’s car and team performing at their best by the time the Countdown began and the second-generation driver picked up three victories in six races. Not only did Brittany become the second female NHRA Top Fuel champion during the Auto Club World Finals at Pomona - following the tire tracks of the great Shirley Muldowney - she earned the win light at sunset Sunday night. She gave plenty of credit to Johnson and Husen: “They really worked with me; they’ve really been patient. They’ve helped me improve as a driver; there were weekends where I really struggled, got beat on holeshots. The hardest was coming out of Vegas with the red light in the final. I felt like I just let everything slip through my fingers,” Force said. As she went into the finale, Force put her head down and made two stellar runs in four sessions of qualifying, earning the No. 1 seed. With an extra 10 points for qualifying first, she had the advantage over Steve Torrence, whose four efforts yielded the No. 5 seed and gave him a more difficult route to the title. She knew that Torrence, whose season-long strength yielded eight winner’s Wally trophies, might be her draw in the semifinals, provided he beat reigning, three-time champ Antron Brown from Don Schumacher Racing (DSR). 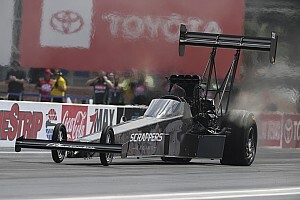 Brown, however, had Torrence from tree to 1,000-foot pylon and it was Force’s championship as she beat Richie Crampton’s Kalitta Motorsports dragster in the quarterfinals. After taking the win light, Force kept asking herself, as she drove to the top end, “Did this really just happen?” Greeted by moist-eyed sister, Funny Car driver Courtney Force as she exited her car, and as her father, 16-time Funny Car champion John Force arrived to congratulate her, Force allowed the emotional moment to wash over her. “It was cool to share that moment with them. You could just see they were so excited, so proud. It was so cool that we shared that moment at the end of the racetrack.” Her race victory over Kalitta’s Shawn Langdon was icing on the cake. The road to the title wasn’t quite the same for JFR’s Robert Hight, who was reunited this year with the crew chief, Jimmy Prock, who’d helped him to his first NHRA Funny Car championship in 2009. Hight, now president of John Force Racing, son-in-law to the patriarch and brother-in-law to Ashley, Brittany and Courtney Force, began his run to the title with victory in the Mile High Nationals outside Denver, It would be the first of four race wins in 2017. The following weekend in Sonoma, his Auto Club Chevrolet Camaro SS nearly ran 340mph and started putting chinks in the armor of reigning titleholder Ron Capps from DSR. Although Capps won eight races in 2017, his collapse in Round 1 of the final two events of this 24-race campaign allowed Hight to close the gap… and take the title. Hight won three of six playoff races as he galloped to the championship and finished runner-up in the season finale – this despite losing two bodies to catastrophic engine failure in qualifying and a trip to the sand trap in the semifinals. JFR had to pull a show-car body out of the trailer in order for Hight to run against Tommy Johnson Jr (who also took a ride through the sand traps on Sunday) in the finals, where Johnson prevailed. 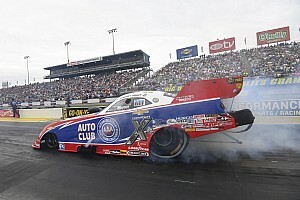 As it was, Hight wasn’t even in the 16-car show until the final qualifying session late Saturday afternoon. 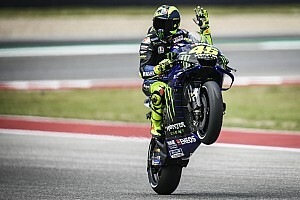 He barely made the field with the 15th best elapsed time but the team rose to its challenge on Sunday, where he knocked down second-seeded Tim Wilkerson, Matt Hagan and then his sister-in-law. “There were so many emotions from just trying to get qualified and then barely squeaking in, having a tough race against Wilkerson first round, then getting my car back on track - and then Capps losing. It was too much to process in one day,” he said. There have been struggles for John Force Racing the past few years as they’ve been dominated by Don Schumacher Racing and Kalitta Motorsports. “Winning a championship is really about putting the right people together,” Hight allows. “That’s what John’s been so successful with all these years. You have to have teamwork, and I think we really shone and proved that this year, with all our cars working together and getting it done. As president of JFR, Hight is especially proud of Brittany Force’s achievement in earning the Top Fuel championship. Notably, as John Force Racing swept both nitro categories of Top Fuel and Funny Car in earning its 19th and 20th overall championships, it marked the first time Chevrolet has won a nitro championship in 10 years. Bo Butner’s run to his first Pro Stock world championship with KB Racing preparation went all the way to the final round before, in winning the season’s last race, he secured the title over Summit Racing teammates Greg Anderson and Jason Line (his margin over Anderson was a meager seven points). The venerable Lucas Oil Sportsman racer, who has 15 amateur victories and six Pro Stock wins to his credit in 45 final rounds, produced four of those wins in 2017, where his consistency in the impeccably prepared Chevrolet Camaro was a standout feature. Not only did Butner win last weekend’s battle and the war overall, he knocked out two of the most competitive racers in the class, his teammates. Anderson, leading the points coming into this extra-points finale stated his intent to crush both reigning titleholder Line and upstart Butner in the last race of the year. To get to Sunday’s finals, Butner beat Anderson in the semis, and Greg was one of the first to meet him at the top end once the outcome was clear. Coming from the Sportsman ranks, Butner realized early on that he could make a big difference in his Pro Stock campaign. Not only did Butner have support from fellow Sportsman racers, both before earning his title and afterwards, the praise came from current category racer Larry Morgan, from Billy Glidden, legendary father and Pro Stock champ Bob Glidden and others that have had success in the factory hot rod class. Eddie Krawiec won his fourth NHRA Mello Yello Pro Stock Motorcycle championship for the Vance and Hines team that is the sole entity running Harley-Davidson Screamin’ Eagle motorcycles in the class. They build the chassis, bodies and the engines and run the bikes under the auspices of Harley-Davidson. Like teammate Andrew Hines, who has five motorcycle titles, Krawiec works on the bikes as the team constantly refines their product. In qualifying for the Auto Club Finals on Saturday night, Krawiec secured his championship - and did it in style, earning the No. 1 qualifier over teammate Andrew Hines, who ultimately won Sunday’s race - his first of the year. Krawiec won seven races on the season, four of them during the Countdown, but it wasn’t as easy as it looked to an outsider. Even with the struggles in developing that chassis and body, Krawiec and his Vance and Hines team realized the manner in which the Countdown is held allowed them to experiment at midyear. While they were running the older chassis with their new bodywork, Vance and Hines was still developing an even newer chassis, which Chip Ellis used to take the third qualifying position last Saturday. Now Eddie Krawiec stands third on the all-time class win list, behind his teammate Andrew Hines and the legendary Dave Schultz. When he came to the V&H team in 2007, Krawiec was looking to win just one race. The New Jersey-bred racer said Schultz had been his inspiration since they met at Englishtown in 1995; after Schultz’s death his wife gave Krawiec the winning Wally from that particular Summernationals race. It inspired Krawiec even farther to get one of his own.